The Cold Case Detectives want to thank the person that submitted an online tip regarding the Sharon Gill homicide. This tip is probably right on target and we would very much like to speak with the person that submitted the tip. 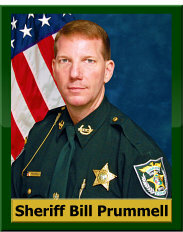 You can call 941-575-5361 8:00 AM to 5:00PM Monday through Friday and ask for Cold Case. After hours and weekends please leave a message using the same number. We will return the call as soon as possible. Please contact us. We are currently working on that case and we would appreciate any information we can get. If you absolutely can't contact and speak with us please provide any additional information you have. Please include names of people in the area that have knowledge and may cooperate and speak with us. Again, some of the information we have so far matches information you have provided. We really need detailed information from you so please make contact with us in some way. It would mean a lot to us and the victim's family. When I last addressed you through our quarterly newsletter, we were approaching the Thanksgiving holiday. I covered some serious topics, such as the introduction of our Domestic Violence Unit, an increase in school threats via social media, and the stress many of our residents face during the holiday season. Over the holiday, I announced the addition of our Mental Health Unit, and our mental health clinician provided tips for managing stress as well as resources for help on our blog. I hope this information was helpful to you if you were in need. It seems as though these months flew by, and now it is almost Spring. More so than any other time of the year, many of us feel that we have extra energy and focus to get physically active, take action, and create change. I am excited to see the amount of interest our community has in volunteering and advocating in the name of drug prevention and recovery. You have likely heard me mention my Drug Recovery Initiative, a partnership with Charlotte Behavioral Health Care to provide free addiction treatment to those who request it. Drugs are a root piece in many crimes that we respond to; however, we are not without compassion. As first responders, we see far too often how drugs hurt people, families, and our community. Just since January 1, my deputies have responded to 18 overdose calls, two of which were sadly fatal. A woman named Lauri Ray, who came and spoke to me in 2016 after losing her son Johnny to an opioid addiction, inspired the Initiative. Private donors and the fundraising efforts of community organizations support the Drug Recovery Initiative. Lauri Ray founded Johnny's Dream in her son's memory, actively raising funds providing scholarships and money for rehab facility assistance for families who are struggling with addiction and who would otherwise never be able to afford it on their own for their loved ones. The Archway Institute is another organization that is active in our community, raising funds to help treat addiction. They host local fundraisers for the Drug Recovery Initiative, including an upcoming Tennis Mixer and Golf Tournament in the month of March. 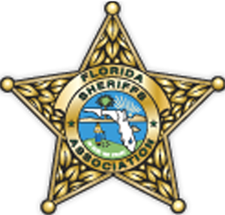 We are also grateful for local businesses and community partners who continue to support our vision to keep Charlotte County a safe and enjoyable place to visit and live. Shifting the focus from recovery to prevention, there are several opportunities for you to become involved in advocating healthy choices to our youth. Drug Free Charlotte County is hosting their 2nd Annual Over the Edge for Prevention event in April. I have signed up for the event, raising funds to support Drug Free Charlotte County and rappel over the side of the Charlotte County Center in Murdock! You can support my efforts by clicking this link. Drug Free Punta Gorda just wrapped up their first 5k fundraiser, and our Englewood Community Coalition is very active in West Charlotte County. These organizations are always in need of volunteers to support their education efforts in our schools. Spring naturally invites us to let go of the old to make room for the new. In that spirit, encourage someone you know to seek help with his or her addiction. If you do not already volunteer in the community, consider one of our local drug prevention coalitions. Prevention and recovery are both important to a healthy and safe community. Let us "spring" into action to continue to make Charlotte County the best place to live and visit. If you have information that can help solve this crime: You can call 941-575-5361 8:00 AM to 5:00PM Monday through Friday and ask for Cold Case. After hours and weekends please leave a message using the same number. We will return the call as soon as possible. If you have information that can help solve this crime: Christine Flahive has now been missing for 24 years. The Charlotte County Sheriff’s Office is asking anyone with information related to this case to come forward. During regular business hours, contact 941-575-5361. After hours, contact 941-639-2101. If you have information that can help solve this crime: please call the Cold Case Unit at 941-575-5361 or after hours call 941-639-2101, or email them at coldcase@ccso.org. Do NOT attempt any apprehensions or arrests based on this information. The Charlotte County Sheriff's Office updates this information regularly, to ensure that it is complete and accurate, however this information can change quickly. This information is made available to the public and law enforcement in the interest of public safety. Please see Terms and Conditions on this site for usage rights and information. Charlotte County Sheriff's Office at (941) 639-2101. Additional warrant information may be available at the FDLE website.